We offer many different types of homes in the Statesville, NC area that can fit your needs while accommodating your budget. Homes in Statesville NC – A house provides for our basic needs by keeping us sheltered and protected from the elements, but for most people, homes are so much more than just that. Homes become a place where we can share our passions, fulfill our dreams, and form relationships and bonds with loved ones that will last a lifetime. As you consider the features that you would want your dream home to have, consider calling us at 1st Choice Home Centers to make that dream come true. We offer many different types of homes that can fit your needs while accommodating your budget. We are located in the Statesville, North Carolina area and can provide home building services for residents in Statesville, Troutman, Taylorsville, Mocksville, Maiden, Conover, Newton, Union Grove, Harmony, Mooresville, and surrounding areas. Home Designs: No matter what type of home you want, our team can help create the perfect design. We use prefabricated materials that are built and assembled off-site, which saves time and money on expensive labor costs. Modular Homes: Modular homes are made from components that are created in factories and other indoor settings. Once the materials are complete, each piece is sent to the construction site, where workers will put it together quickly and efficiently. Prefab Houses: Prefab houses are a great option, especially for buyers who are on a tighter budget. They can include unique details, such as environmentally friendly options that help you save on utilities while using renewable energy sources and building materials. Another benefit of prefab houses is that construction is never delayed by weather conditions or other problems with the elements, since the construction of your home’s materials will go on, even in rain or shine. Manufactured Homes: Materials for manufactured homes are constructed at a main location, where workers can stick to a specific building code to ensure that every piece is built correctly. After completion, the sections will then go to the construction site for assembly. When building materials do arrive, the timeline from arrival to completion is very short, which means that you can get into your new home more quickly. Since you will probably be eager to move in, this is a great option for families who are ready to get into their dream homes. Mobile Homes: Mobile homes provide a more cost-effective way to create your dream home. Our team of builders will create each component of the home, then will put it together in the design and style you have selected. Home Designing: We have various options of home sizes and designs, so we can help design the perfect home for your family, whether you want a modern and updated look or a contemporary home that fits with the neighborhood. For more information about our home building services in Statesville and the surrounding areas, contact us today! 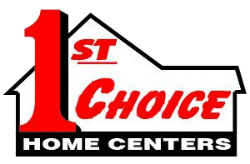 1st Choice Home Center offers quality homes in Statesville, Troutman, Taylorsville, Mocksville, Lincolnton, Maiden, Conover, Newton, Union Grove, Harmony, Hickory, Mooresville, and surrounding areas of North Carolina.